New England Patriots Immediate Reactions To Preseason Game Two Victory Against Saints | NFL News, as it happens, when it happens. Your one stop shop. 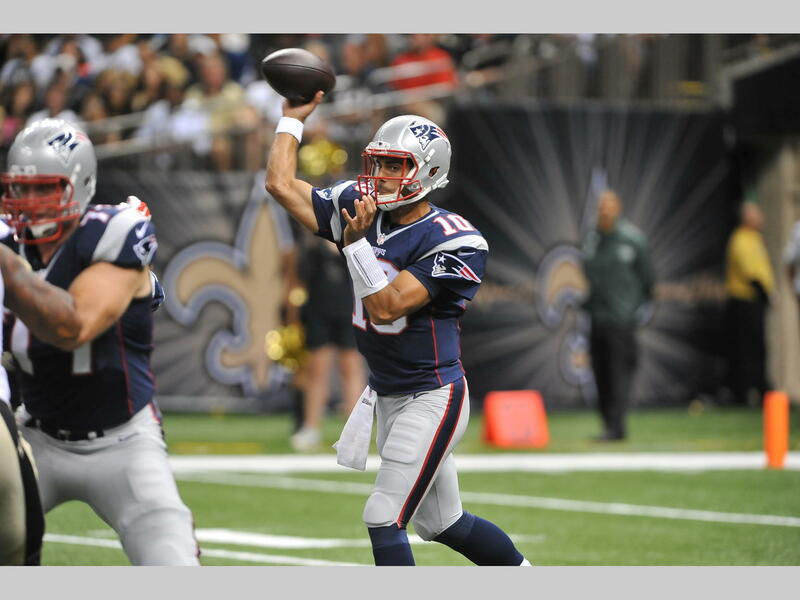 The New England Patriots won their first game of the 2015 preseason in New Orleans on Saturday night, with a 26-24 come from behind victory. 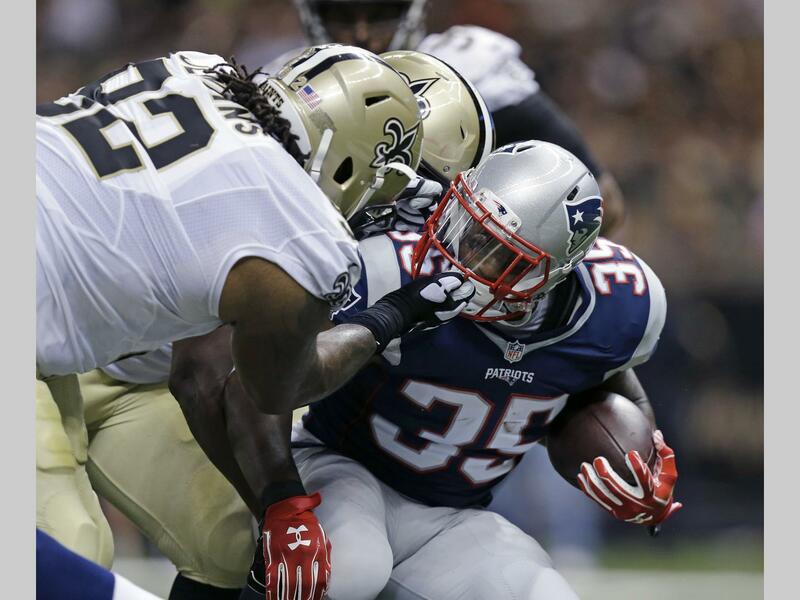 The Patriots started off sluggish in all three phases of the game, falling behind 21-0. Those were the starters out on the field when the team fell behind that badly, and you can be sure head coach Bill Belichick will let his players know about it. However, young players trying to make a name for themselves brought the Patriots back into the game. Here are my evaluations and observations from preseason game number two. Defensive Starters Underwhelm: With the exception of Dont’a Hightower and Jerod Mayo, the Patriots starters on the defensive side of the ball were all on the field for the first three series of the game. It is safe to say that they did not impress at all. On the first offensive play of the game for the Saints, Drew Brees hit Mark Ingram on a wheel route in which he toasted Patriots linebacker Jamie Collins. A lot has been made about Collins athletic ability and how he by far and away the most physically gifted on the field at all times. However, he has had a lot of trouble covering running backs. Saturday night was not his night. Later in the quarter Collins was blown back by Saints guard Jahri Evans on a screen play, that lead to a gain of seventeen yards. In addition, the Patriots secondary looked just like what many fans have feared they would look all offseason, horrendous. Drew Brees moved the football up and down the field with ease, picking apart New England defensive backs. Particularly Duron Harmon, and Devin McCourty who played at the cornerback spot opposite of Malcolm Butler. This was never more evident than in the first quarter when Saints wide receiver Brandin Cooks ran straight past McCourty and Harmon for a forty-yard touchdown. It was flashbacks of 2011’s cellar dwelling secondary for many Patriots fans. The secondary is a work-in-progress so fans needed to be ready for games such as this one. Offensive Line Continues To Struggle: The offensive did not give up seven sacks like they did last week agains the Green Bay Packers, nevertheless they did struggle opening up running lanes for LeGarrette Blount and Jonas Gray at times. The starting line went from left to right Nate Solder, Shaq Mason, David Andrews, Tre Jackson, and Sebastian Vollmer. Cameron Fleming saw most of the time at tackle in place of Vollmer. The interior players struggled the most. It seemed as if time after time in the first half and even into the second, the Patriots running backs were just running into brick walls. After having a solid game last week, Shaq Mason struggled on Saturday night as he was blown up often by Saints defensive lineman. David Andrews had many of the same problems. Also, Cameron Fleming had some mental errors setting up in the wrong formation, which lead to a loss of yards for his team. The pass protection was solid which was encouraging. Now if the unit can string together a good mix of both the run and pass protection next week against the Panthers, fans should feel good about their offensive line heading into week one. Garoppolo Has Flashes of Promise: After the Tom Brady lead offense went three and out on three straight series, Jimmy Garoppolo came into the game and looked very flustered at first like he did last week. However, at the end of the first half with just over a minute to go Garoppolo was in position to prove himself in a critical situation with his team trailing 21-0. Jimmy took his team down the field, capping off the drive with a great hustle play that resulted in a touchdown. The pocket collapsed on Garoppolo, but he managed to break free of a Saints defender, rolled out of the pocket and fired the ball into the back of the end zone to Chris Harper, who had a great game. At the start of the second half, Garoppolo had his best series of the game. It was a five and a half minute drive that incapsulated eleven plays for 55 yards, that ended with a Dion Lewis eleven-yard touchdown run. Throughout the drive, Jimmy connected with players such as Chris Harper and Jimmay Mundine on key third and fourth down conversions. There were some growing pains with Garropolo however. Early in the fourth quarter he made a terrible decision throwing the ball off his back foot to Brandon Gibson who was double covered. The ball was intercepted by Pierre Warren of the Saints. That is a Drew Bledsoe type mistake. He is moving the ball up and down the field looking good, then all of sudden he makes a dumb throw like that one. Also, later in the fourth Garoppolo dumped the ball off to Brandon Gibson on a third and long play. Gibson did not even come close to the first. Jimmy Garoppolo’s most important drive of the game came with two-minutes to go in the game with the ball at the Saints forty-five yard line down 24-23. Garoppolo made essentially one play, and thats all he needed. On the first play of the series he fired the ball down the middle of the field to Jonathan Krause who made a very impressive catch with a New Orleans defender draped all over him. The catch put the Patriots at about the twenty-four yard line, setting up Stephen Gostkowski for the game winning thirty-five yard field goal. In the end, Jimmy Garoppolo went 28 for 33, for 269 yards, with one touchdown pass and one interception. Not a bad game at all. Fans should feel encouraged about the progression from last week until now, and still be cautious that there is much more for Garoppolo to prove. Miscellaneous Notes: Cornerback Bradley Fletcher stuck out for the first time all season, making two big pass breakups late in the game. Undrafted wide receiver Chris Harper was one of Jimmy Garoppolo’s favorite targets throughout the night, and he also had a huge punt return late in the game setting his team up with great field position. 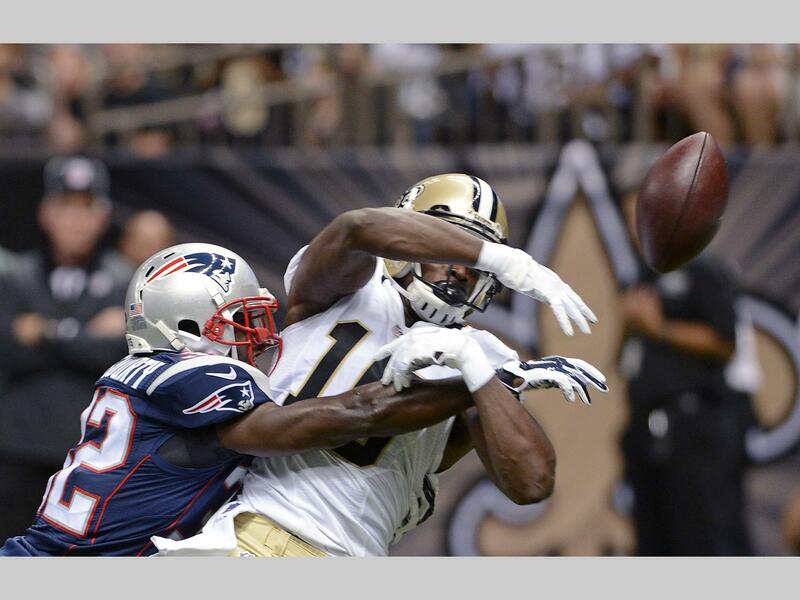 Malcolm Butler continued to impress, not so much with his coverage skills but with his physicality. He came up on two run plays in the first quarter and layed the wood down on two Saints players, one being Brandin Cooks. The team as a whole has a lot to work on, especially on the defensive side of the ball. next Friday’s match up against the Carolina Panthers will be the most important of the preseason as the starters will see the majority of the reps. As fans we will get much more of a decent evaluation against a playoff caliber team.